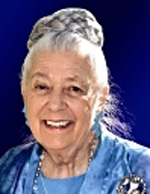 Gladys McGarey, MD, MD (H), has been a family physician for over sixty years. She is internationally known for her pioneering work in holistic medicine, natural birthing, and the physician-patient partnership. A founding member and past president of the American Holistic Medical Association, she also serves on a research committee of the National Institute of Health’s Office of Alternative Medicine. She is a member of the International Advisory Board for the recently formed Institute for Natural Healing. Her work, through the Gladys T. McGarey Medical Foundation, has helped to expand the knowledge and application of holistic principles through scientific research and education. She lectures internationally and is the author of many articles and books.